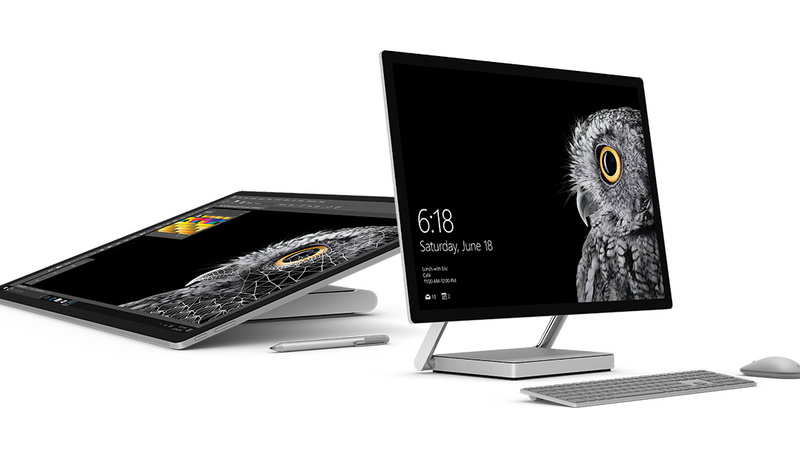 The Microsoft Surface Studio is a new and riveting personal computer by Microsoft, which is both a gorgeous desktop PC as well as an advanced digital creation tool, all in one single package. This innovative idea of a multi-use product is an attempt to provide an elegant solution to a relatively stagnant work space for both artists and designers alike, with regards to useable tools in the workplace. Every year, there are jobs becoming more and more reliant on newer technologies to function and to keep up with the rest of the world. 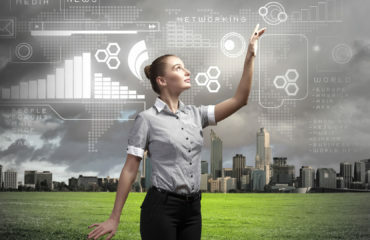 Jobs such as digital art creation, graphic design, architecture and engineering require many peripherals and maybe even multiple computers to work quickly and efficiently. Microsoft’s goal is to change this, by providing an all-in-one solution to the problem, as well as to branch out from its technological Windows routes and out towards the more creative platforms. 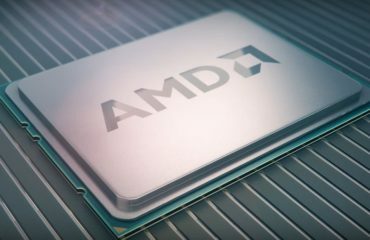 The all-in-one (AIO) PC being discussed is one that can stand upright, like a traditional desktop display, but can also do things such as recline to a horizontal position. This would allow for designers and artists to draw, sketch and edit their work as if it was a dedicated drawing tablet or physical medium like paper or an art easel. 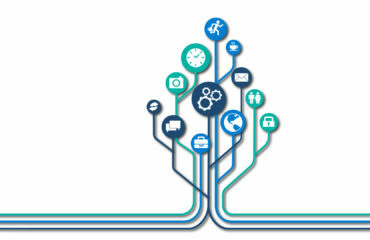 The PC is designed to be equally thin, attractive, innovative and useful as it is a thoughtfully designed package. This device is called the Microsoft Surface Studio, or Studio for short. 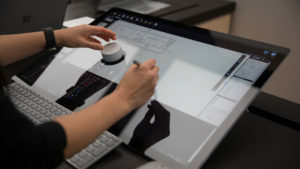 The Studio, as it has been nicknamed, comes with peripherals that include a wireless keyboard and mouse, which are connected to the device via Bluetooth 4.0. 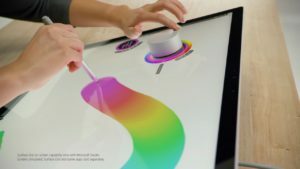 The Surface Pen, which is the dedicated stylus made especially to work with the Studio, is also included in the complete package deal. The Surface Pen works better than most other styluses due to the fact that there is no latency between the strokes and responses with the screen. There is a customisable button along the side of the screen, which can be mapped out to carry out certain actions or tasks. This can be set to right click, paste, eraser, or anything else depending on your current projects and workflow. But by default, it brings up the Windows Ink Workspace software, which is commonly used for quickly writing down notes or doing a smaller drawing on the side. While the Pen is not in use, there are magnetic strips on either side of the display screen, where you can attach the Pen when it is not being used for safe keeping. The Microsoft Dial is not an instrument that is included with the all-in-one Studio but can be very useful and should be considered if you have this device. It is a peripheral that isn’t used for the usual drawing and editing, but more in aid of tool and menu selection instead. The Dial is placed on the screen and pressed to bring up the menu. You then turn the dial either clockwise or anti-clockwise to cycle through the different settings and options that pop up. This is an innovative design that is extremely aesthetically pleasing to work with and use. Placing it directly on the display and then pressing down on the Dial brings up a digital radial menu around the physical Dial itself. This provides you with options such as Volume and Brightness control as well as the Undo button. It has an easy learning curve, so within minutes you will be flipping between settings and changing tools in no time at all. The bottom part of the Dial is made of rubber, which is to help grip the Dial to the surface of the display. Future software is to be integrated with and into the Dial, giving you more reach in your customisation and use of it, with features such as a radial digital colour wheel being announced.